There is no purpose to life. As long as we struggle towards a goal in life, we miss the joy of living. When each moment becomes a reason to exist, to enjoy, and to celebrate, that moment, that path becomes the purpose, not any distant goal to be reached.When the path is right for you, the destination will always be right for you! 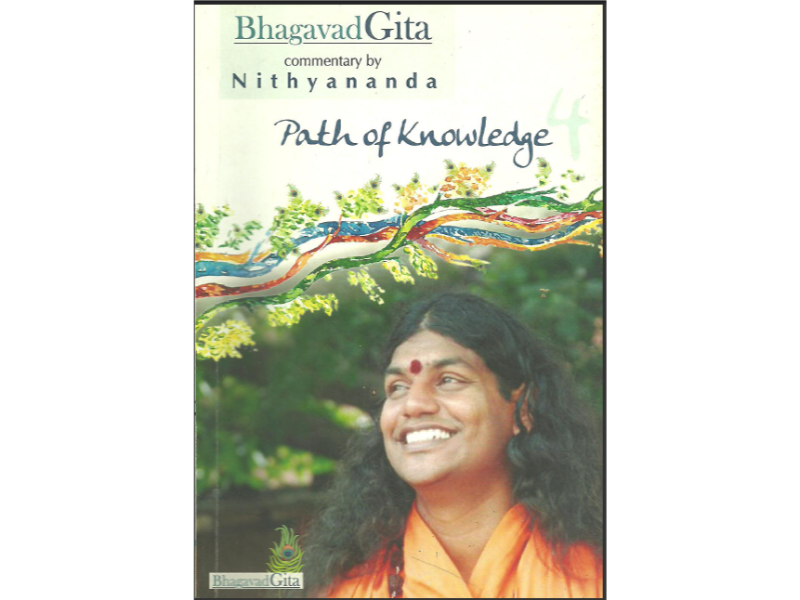 Bhagavad Gita has become a time honored scripture solely by the wisdom of its teachings and in answering of doubts; doubts which have plagued mankind for thousands of years. These teachings, communicated over 5000 years ago in ancient India on a battle field, still resonate today, with day to day practicality and pragmatism. 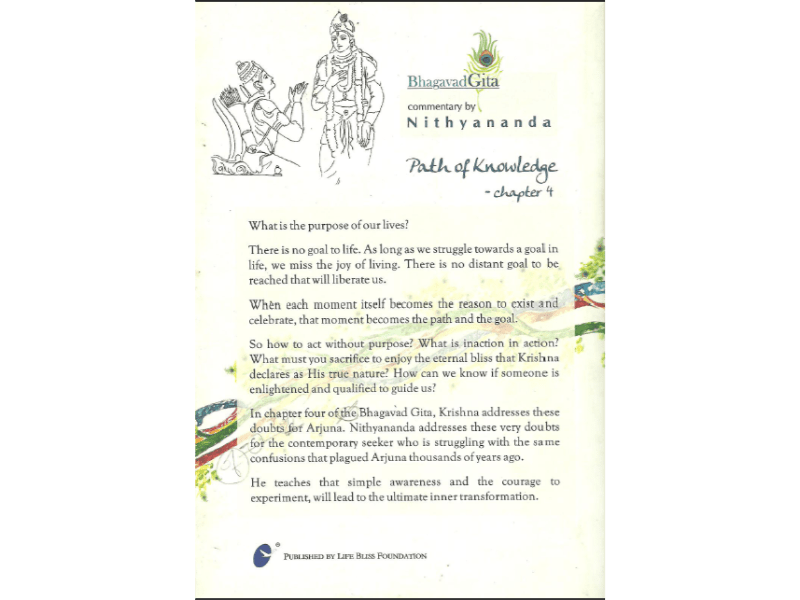 In this book, for the modern day seeker, Nithyananda comments on the fourth chapter of the Bhagavad Gita, traditionally called Path of renunciation of action and knowledge, elaborating upon timeless and timely issues that Arjuna, the hero of this story, dialogues with Krishna, his mentor and guide. He teaches seekers, that simple awareness, can lead to tremendous transformation within.